Just an incredible one hour drive away in your Geneva car hire from the airport, you can find yourself in the French town of Chamonix — a historic ski resort on the prettiest side of Mont Blanc. In terms of ‘apres ski’ its bars and restaurants are lively year-round and it even boasts the world’s best lift-served vertical drop. It is open until May. 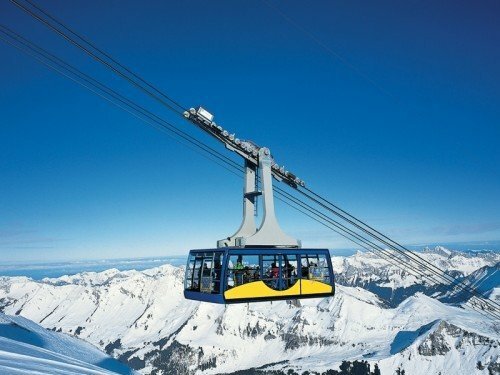 Also within an hour’s drive from Geneva and within Switzerland itself, is the lively resort town of Montreux where the excellent pistes are reachable from town via funicular railway. And there are a multitude of other options in the immediate vicinity of Geneva, including Rochejean and Flumet among many others. If you are prepared to go a little further afield then the various resorts of France’s Grand Massif area will be at your disposal (just an hour and a half from Geneva), and within just two hours other top-notch French skiing destinations such as the modern facilities and extensive pistes of ideal family resort Valmorel. Just three hours travel will take you to fine Italian resorts such as Monterosa or even to Switzerland’s Zermatt, regarded by some as the finest ski destination in the world with its glacier and epic views of the Matterhorn. In short, those arriving in Geneva in winter/spring will find themselves spoilt for choice whether they intend to indulge their passion for winter sports, or simply enjoy the view.